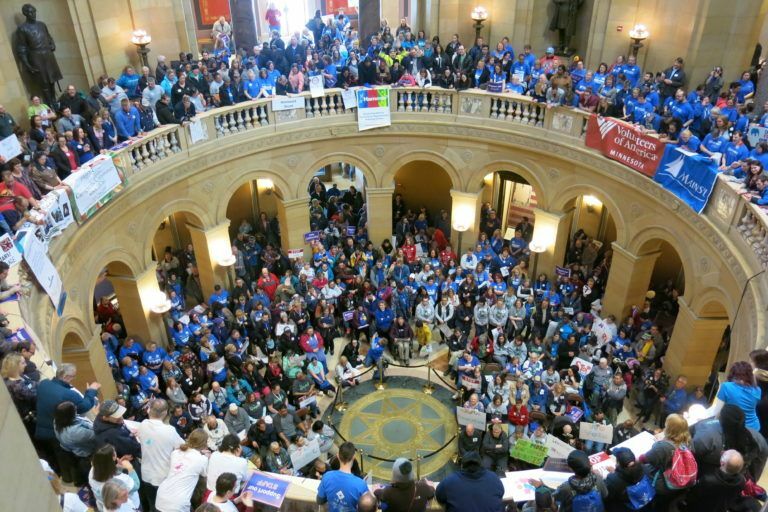 2019 Day at the Capitol - Homeward Bound, Inc.
ARRM, Homeward Bound’s trade association, along with MOHR (Minnesota Organization for Habilitation and Rehabilitation), is organizing our annual rally in the Capitol Rotunda. The date is set for Tuesday, March 12 from 10:00 – 11:00 a.m. 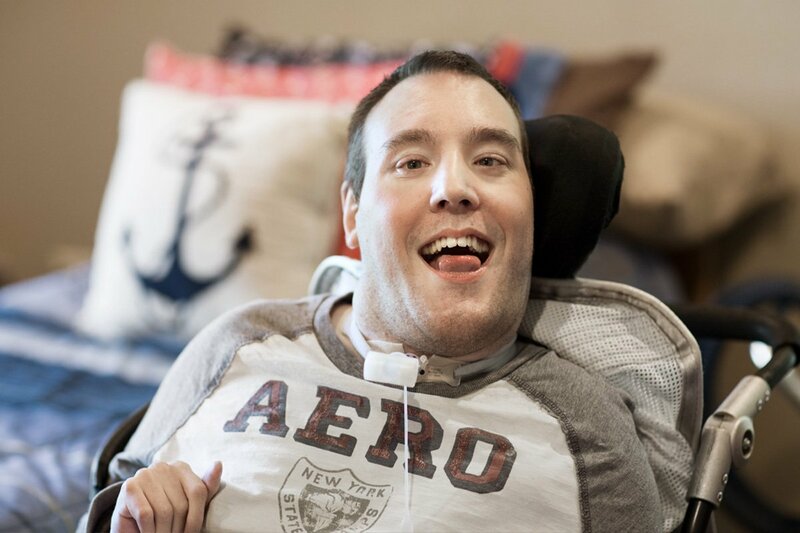 This event is an exciting annual day of advocacy! 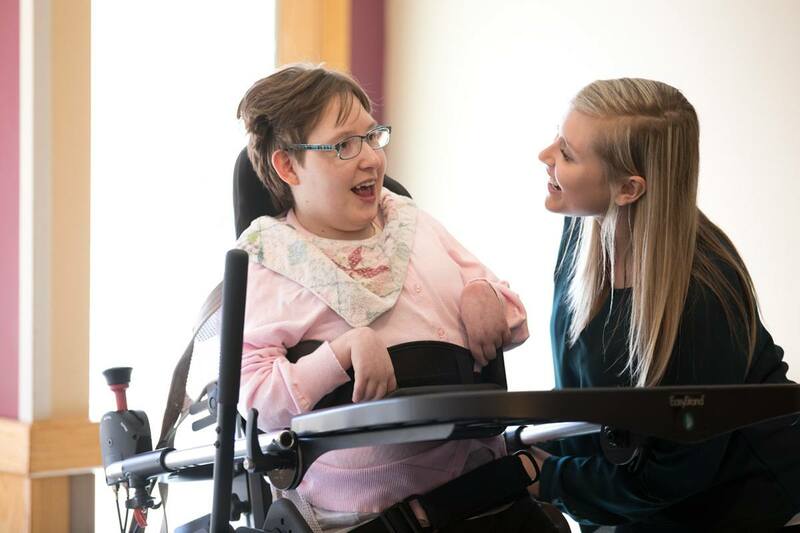 More than 1,000 direct care staff, managers, family members, and people who receive home and community-based services will be joined by legislative champions to rally together at the Minnesota State Capitol to make their voices heard. Attendees come from all over the state in buses and vans to make sure that legislators hear their voices and know their issues. In addition to a large rally, ARRM organizes meetings between legislators and their constituents throughout the day, and if the day coincides with a hearing of important legislation, attendees show up in strength. It is an important day that ARRM, its members, legislators, and everyone who attends looks forward to! Homeward Bound has reserved transport to bus staff to the rally. More details will be coming from Kristine kmorin@hbimn.org via e-mail mid-February. In the mean time, please contact her with questions! Stay tuned!